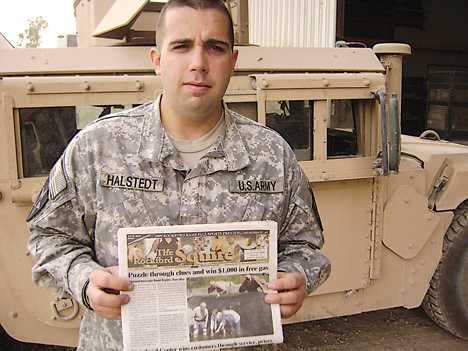 Rockford resident PFC Evan Halstedt shows a copy of The Rockford Squire at Camp Normandy, Iraq. PFC Halstedt is stationed at Fort Lewis, Washington, and is currently in his second tour of duty in Iraq. He is the son of Richard and Karen Halstedt of Rockford.